My inspiration started a long time ago with Diana Ross to more currently Solange Knowles and Esperaza Spalding. When I look at their hair, I see freedom. It was only last year that I began to notice my curls were in much better shape. I have been natural for several years but it’s safe to say that last year, the damage from my youth was virtually gone. 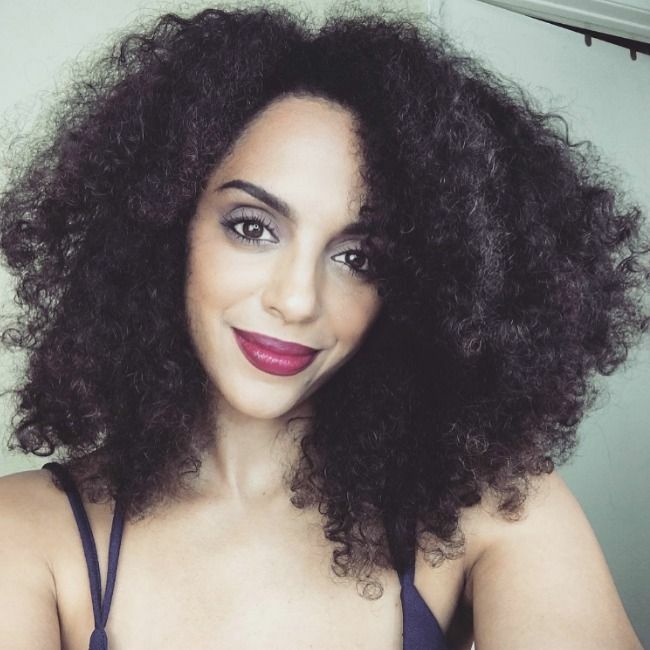 Now in 2016, I feel that I understand my curls, know what works best for them and embrace my style. Some of my hair goals this year are to step out of my current routine and challenge myself with new products, styles and trends. So far, I’m enjoying the process and looking forward to trying out even more. About every 3rd wash day, I like to use a clarifying shampoo to remove any buildup on my scalp. Many of my past clarifying shampoos cleansed very well but left my curls feeling dry and brittle. This sulfate-free shampoo cleans my scalp so well and leaves my curls soft and manageable. I love that it contains apple cider vinegar to balance my scalp's PH level and Jamaican black castor oil to help promote growth. This was a beautiful surprise for my curls! Coming from a lover of big hair, I was so pleased with the results. The Fluffy Soft Styler is lightweight, kept my curls soft and is the perfect styler for my wash and go’s. Infused with avocado and safflower oil, this beautifully fragranced styler didn’t weigh my curls down one bit! Best of all it’s free or parabens, mineral oil, sulfates and petroleum. My application process is simple by raking the styler through damp, clean hair and letting it air dry. Perfectly defined curls are gorgeous but there is something about wild, carefree and a bit frizzy that I find beautiful. It’s the imperfections that make it perfection. My inspiration started a long time ago with Diana Ross to more currently Solange Knowles and Esperaza Spalding. When I look at their hair, I see freedom. The freedom to express one’s self….unapologetically. My wash and go’s are less frequent for this very reason. By day 3 or 4 my curls are stretched, less defined with major volume. Hair accessories can instantly change the mood of any casual hair style. I love incorporating them during my lazy days but my collection feels a little dated. That’s why I had to include one of my favorite style and beauty vloggers to this list. Charmaine Daudu (AKA Charmsie) is especially creative when it comes to hair hardware. 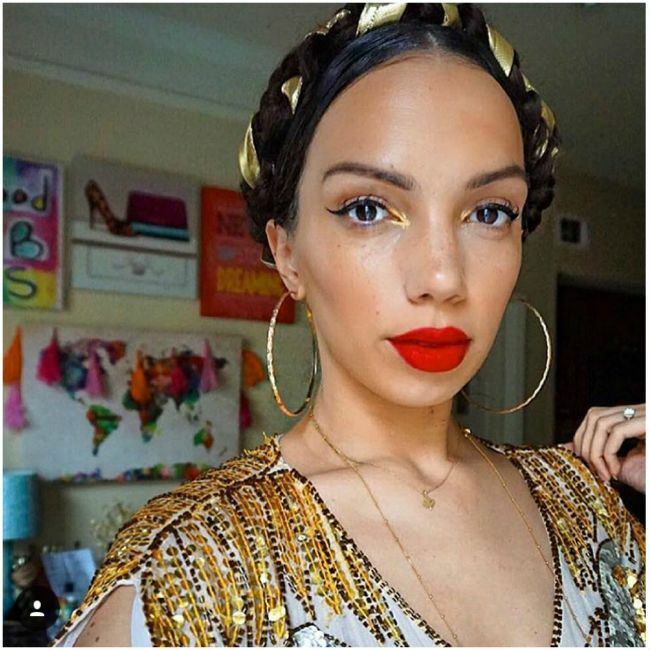 She’s not afraid to wear a gilded crown, use a necklace or wrap her hair in beautiful fabrics to achieve her unique look. With her background and passion for fashion, I can count on her to keep me up to date with the latest trends. What are your favorite products for fine hair?